The growing complexity and increasing quality requirements for vehicles pose new challenges to the process of validating driving functions. 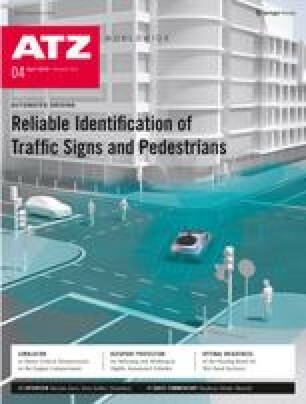 Magna presents a method to evaluate traffic sign recognition using synchronized vehicle and infrastructure data at complete-vehicle level. In recent years, the automotive industry has achieved important progress in the development of automated driving functions. The increasing degree of automation, defined for example by the Society of Automotive Engineers (SAE) , also requires a higher validation quality of such systems. Supposedly simple systems such as Traffic Sign Recognition (TSR) present engineers with a significant challenge. The presented study is funded by the Austrian Federal Ministry of Transport, Innovation and Technology as part of the FFG "Mobility of the Future" program.